(Nairobi, March 7, 2018) – An Equatorial Guinean court on March 7, 2018 released an artist imprisoned on dubious charges for nearly six months, 18 human rights groups said today. 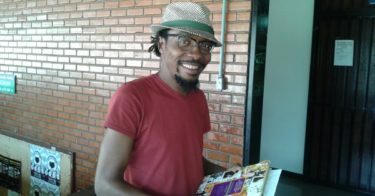 The prosecution dropped all charges against Ramón Esono Ebalé, a cartoonist whose work is often critical of the government, at his February 27 trial after the police officer who had accused him of counterfeiting $1,800 of local currency admitted making the accusation based on orders from his superiors. The global #FreeNseRamon coalition, consisting of hundreds of artists, activists, and organizations devoted to protecting artistic freedom, freedom of expression and other human rights, carried out a campaign to direct international attention to his situation. At the trial on February 27 in Malabo, Equatorial Guinea’s capital, it became clear that the police officer who had made the accusations had no personal knowledge of Esono Ebalé’s involvement in the alleged crime, according to his lawyer and another person present at the trial. After offering details that conflicted with the official account, the officer admitted that he had acted on orders of his superiors, they said. The prosecution then withdrew the charges.